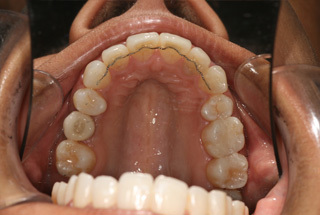 Clear braces to straighten teeth. Invisalign uses a series of clear aligners that are custom-made to fit your teeth perfectly. The virtually invisible aligners gradually reposition your teeth into a smile you’ll be proud of. Invisalign is used to straighten crowded, spaced or misaligned teeth, creating a beautiful smile in a discreet manor. Over half a million people have opted to use the Invisalign system due to the sheer convenience and ease of the treatment. Also deciding to straighten teeth which are too crowded or widely spaced can prevent unhealthy conditions such as gum disease. Straighter and better aligned teeth help gums fit tighter around each tooth and they become easier to clean. Whilst using Invisalign you can continue to brush and floss normally. Invisalign treatment starts with a dental examination by our experienced Invisalign dentists. He or she will examine your teeth and develop a digital model of your treatment using Itero Scanner or using casts, pictures and radiographs. Together you can review this computer model (using Clincheck) and agree on your Invisalign treatment plan. Invisalign will then make a series of custom made aligners that will only fit you. 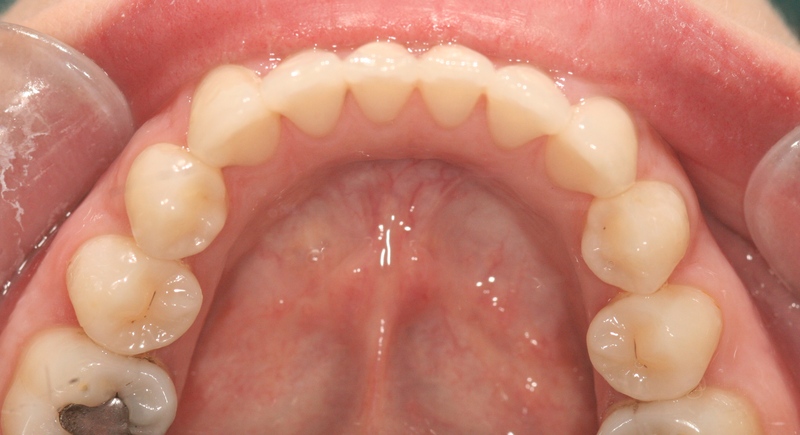 Each aligner is slightly different, moving your teeth gradually into the desired position. You wear each aligner full-time for two weeks, before moving on to the next in the series. We will see you for a progress review at regular intervals and you will then receive your new aligners. 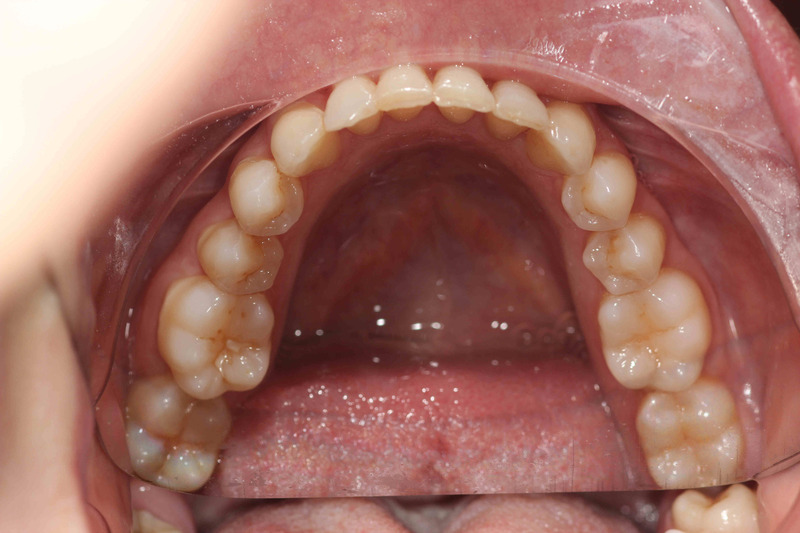 Each Aligner will move your teeth little by little, week by week, until they reach the desired position. The iTero Scanner is a state of the art digital impression system that eliminates the need for messy putty impressions in your mouth. The scanner digitally captures a detailed 3D model of your teeth and gums. This process is far more comfortable than the conventional impressions and its faster and can offer you an analysis of your desired result straight away. Predictable treatment, as Invisalign® is planned in advance, we can more accurately predict when your treatment will be finished. Cosmetically superior to normal braces due to near invisibility. So, no more embarrassing metal wires. No metal allergies as there are no brackets or wires. 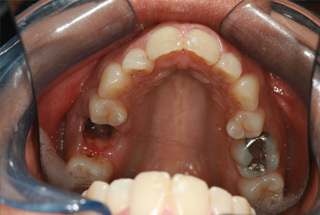 Can plan interproximal reduction to reduce slight amounts of enamel in between teeth instead of extracting teeth if space is needed, please see here for more details. This is for moderate to complicated cases where treatment will take more than 7 months. The fees here include any refinements after treatment completion (i.e. no extra costs). 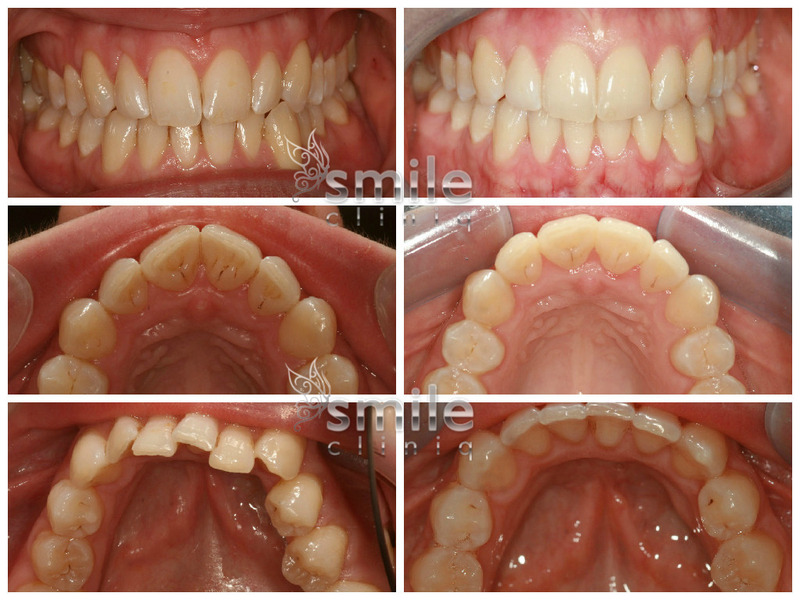 This innovative system is used for minor corrections where treatment can be completed in 7 months, with a maximum of 14 aligners. Invisalign charge for mid course correction and final refinements for invisalign lite, so if a more complex cases is presented it is often more cost effective to go for invisalign full. 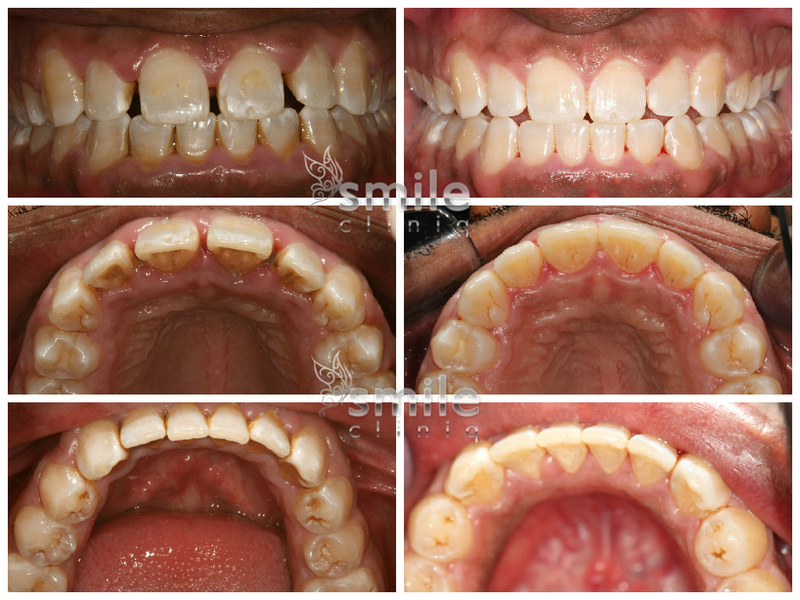 For very minor cases where treatment can be completed in 3.5 months using 7 aligners. 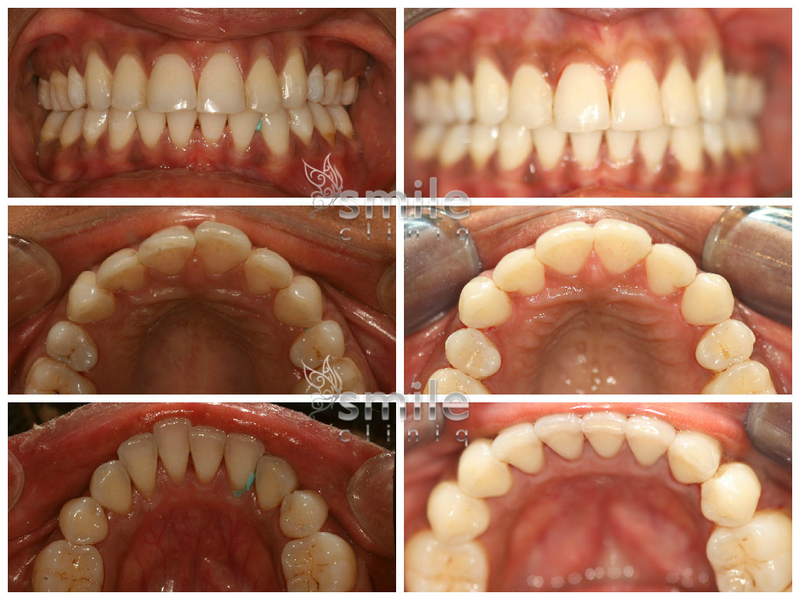 Invisalign charge for mid course and final refinements for invisalign i7, so if a more complex cases is presented it is often more cost effective to go for invisalign lite or Invisalign full. 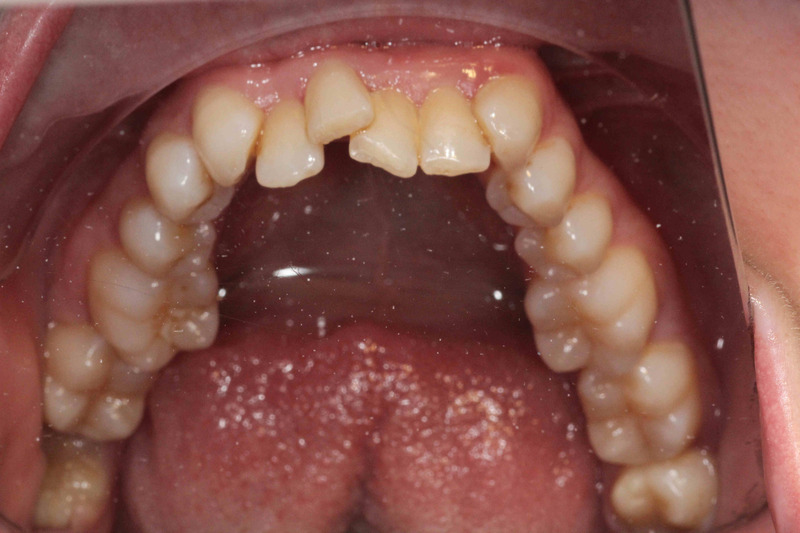 Also i7 will only treat the front 8 teeth from first premolar to first premolar. Cheaper non branded invisible braces are available from orthodontic laboratories. The main advantage here is the cost, the prices start from £600 and are ideal for very mild cases, but these are not recommended for complicated cases in which case it is best to go for Invisalign full, remembering Invisalign has over 1 million cases successfully treated. Please see here for a comparison of different orthodontic systems. Scale and polish appointments, it is important to keep the teeth meticulously clean and during Invisalign additional hygiene appointments may be needed. Replacement aligners, if aligners are broken or lost, invisalign charge for replacements. 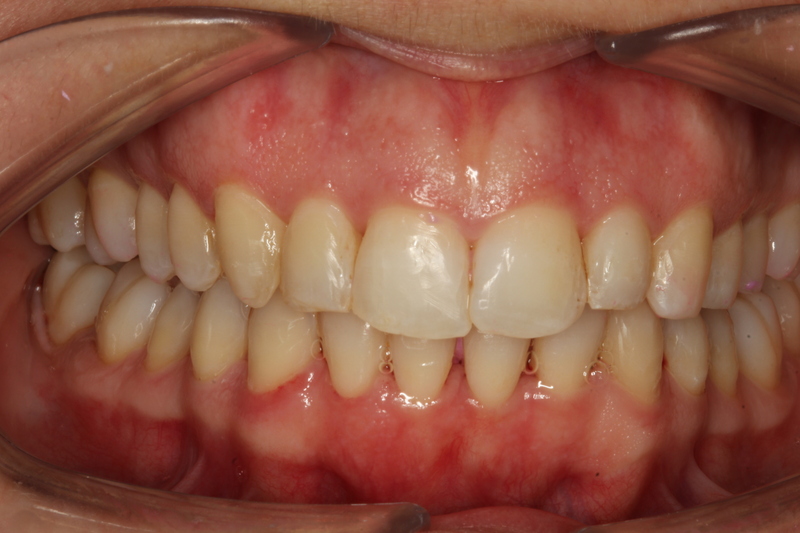 Mid-course correction, if aligners have not been worn, then some teeth may stop moving and remaining aligners may not fit, in this case new aligners must be fabricated using new impressions. Invisalign, and for that matter any aligner, brace, retainer, takes time to get used to. 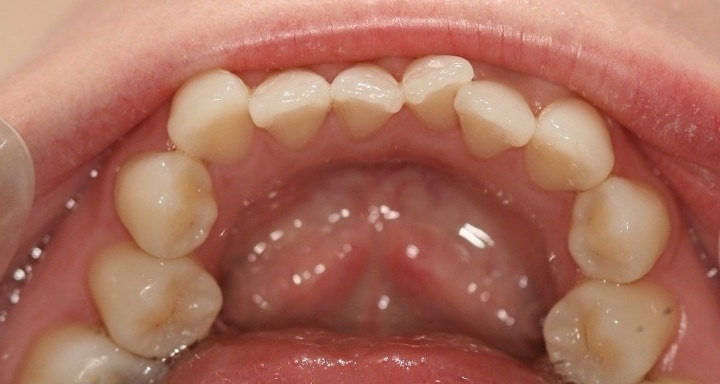 Initially, it feels uncomfortable, with hyper- or hypo- salivation common and a small lisp can be present, this usually disappears after a few days. Sometimes the invisalign is such a tight fit, it exerts pressure (causing soreness) on the gums, a nail file used on the aligner in this “pinching” area is great help and resolves this instantly! 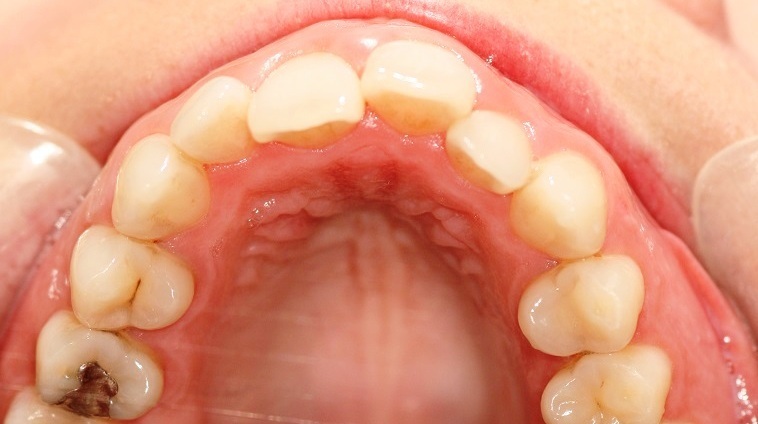 With some more complicated cases Invisalign may recommends attachments, although these can be declined by the patient, these are small white lumps (colour matched to the teeth) on teeth which are used to aid tooth movement by allowing the Invisalign to “grip” the tooth. 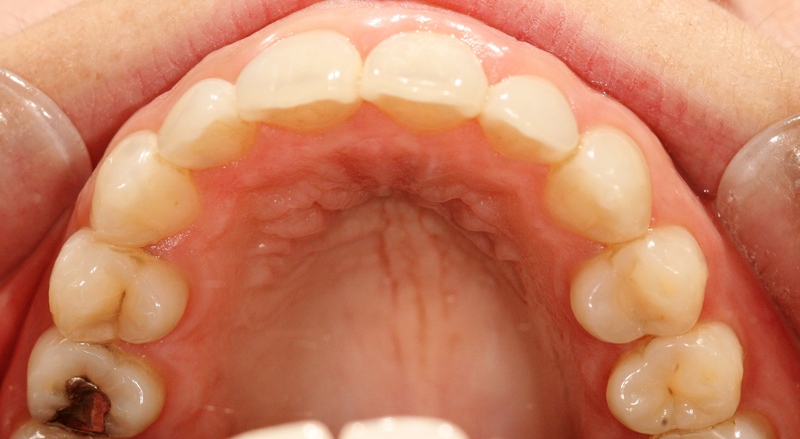 These white lumps are slightly visible on upper anterior teeth, although most patients get on with them absolutely fine. It will also take some time getting used to putting in and taking out aligners, this gets quicker as you get used to it. In difficult cases, with lots of attachments, this device is usually helpful. The biggest risks are decay and gum disease developing. When wearing any oral device, dentures, braces, aligners, retainers, it is more difficult to clean the mouth. This can cause decay, gum disease, so it is imperative to maintain excellent oral hygiene. It is often recommended to attend more regularly for hygiene appointments, use a fluoride mouthwash and spend extra time cleaning the teeth during invisalign treatment. The aligners should also be well cleaned, an excellent product for this is found here. 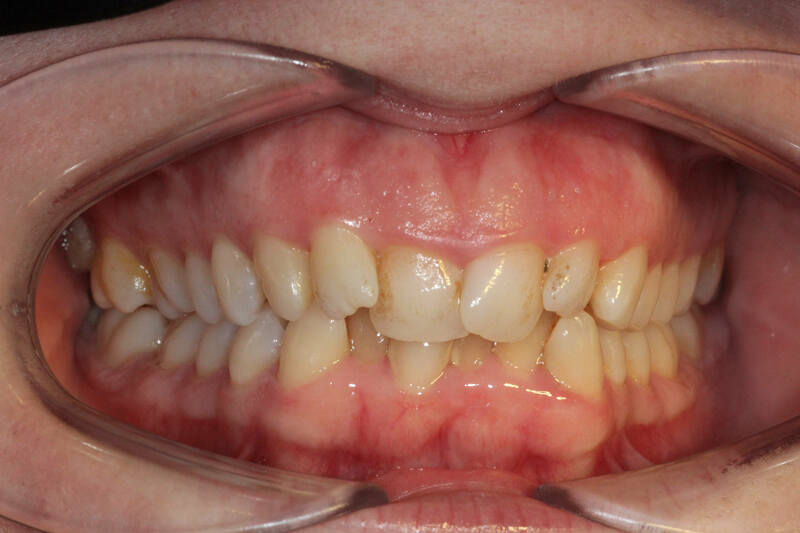 After treatment is completed we normally place removable (similar to a clear aligners, but non pressurised) or fixed retainers (thin wire bonded to back of teeth) to hold them in their new position. Over time these can wear down or de-bond and they may need replacing, extra fees will be due when and if they need replacing.